My conservative friends ask me how I can be supportive of Obama given his stance on Israel. I usually explain to them what friendship is like and point out how they are getting hysterical over little. 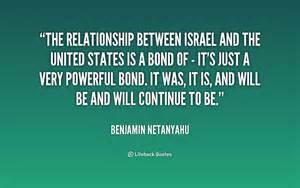 His relationship with Israel is no different than that between two friends who argue politics, often think the other is crazy, but each is the first to call the other in time of trouble. Sure things are a little tough at the moment and Netanyahu’s visit certainly was an offense, but they still have each other’s back. 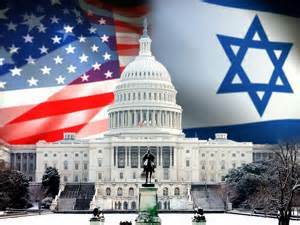 Conservative Republicans and blind Israel supporters continue to cast Obama in the role of Israel’s antagonist. They embrace Netanyahu and criticize Obama. Obama is regularly cast as unsympathetic toward Israel or, worse, ignorant of Israel’s true security needs. Those on the fringe end of the conservative spectrum, the ones that call Obama a socialist, continue to believe that Obama prefers international liberal rights to individual group rights. Consequently, they assume Obama is willing to kick Israel to the curb while placating Arabs and the international left. Those of us who spend many waking hours thinking, or writing, or teaching about these issues are not surprised that the big brother and little brother fight. The suggestion that a two state solution use borders somewhere along the 1967 lines is so common in the literature and in discussions about resolving the conflict that the statement has little effect on me. Most people, including the majority of the Israeli public, prefer a two state solution with borders being defined as somewhere along 67 lines. Netanyahu is correct that those borders would not be sufficiently defensible. But with buffer zones, electronic surveillance, and swaps it’s possible to establish borders for a Palestinian state. To pounce on this single statement was simply inaccurate and unfair. because they commit Obama to a course of action. Hence Obama told AIPAC that “Jerusalem will remain the capital of Israel and it must remain undivided.” This is an unbelievably provocative statement and probably will not be included in some final two state solution. Obama has stated clearly that the two state solution is subject to negotiation between Israelis and Palestinians in order to determine a final status. But even with the latest moves in the UN I bet this issue just fades away. Any ultimate solution will be negotiated with the Israelis and Palestinians. I trust Israel will do nothing that undermines its own security. Obama has chastised Assad; he has encouraged Yemen’s president Saleh to leave office; he has supported the people in the streets in Tunisia and Egypt. Calling on him to send in troops or overtly assert American power is simply politically irresponsible. Obama has recognized emphatically the special relationship between Israel and the United States. Obama is not trying to appeal to everyone. He is encouraging the Israelis to make necessary movements in an effort to stimulate discussion. Right now nothing is going on. Netanyahu is not going to negotiate with a Palestinian government that includes Hamas; he’s adamant about 67 borders not being defensible so he wants to encroach into land east of Jerusalem toward the Jordan River. The Arab world is in flux so it does not seem to be the time for discussions. I credit Obama was trying to encourage additional contact. Having said all this, it is clear that Netanyahu is not Obama’s favorite international leader. Obama does have a more accommodating and diplomatic style whereas Netanyahu knows exactly what he thinks and has little interest in modifying it. But Obama believes that he is serving the needs of peace and thereby the needs of Israel. He has acknowledged the problems of dealing with Hamas. He knows that the 67 borders will require adjustments and land swaps. And Obama supports and has stated as such Israel’s right to be a Jewish and democratic state, including its capacity to defend itself. This is important because the Jewish nature of the state remains problematic. Israel faces tremendous demographic pressures as well as political ones that threaten the Jewish and democratic nature of the state. Netanyahu is making a mistake if he thinks the special nature of the US – Israel relationship means he can behave any way he wants. The world grows weary of this conflict and is already turning its attention elsewhere, and everyone’s patience has limitations. rights over locked-jaw nationalism. In the past Obama has recognized Arab freedom fighters and advocates for democracy and rhetorically positioned them along with Martin Luther King and Rosa Parks. Praise for Arab freedom fighters is good for Israel. 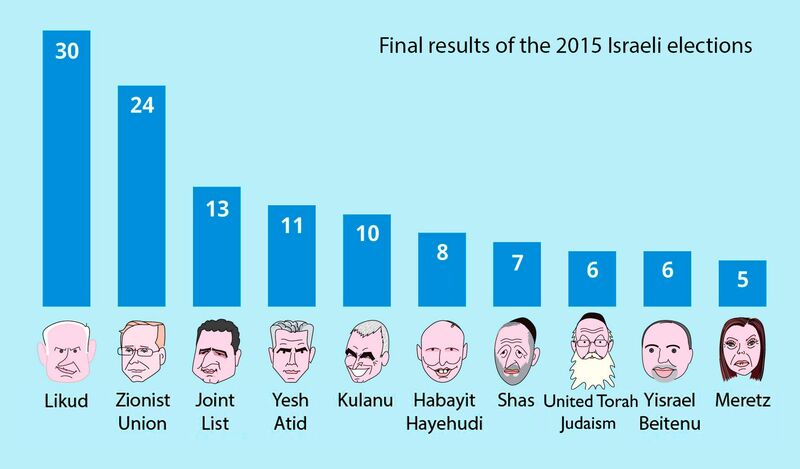 Well, Netanyahu has been elected for an historic fourth time. His path to the Prime Minister’ s office this time is strewn with damaged relationships (think US), international political stunts (speech before Congress), the race card (“the Arabs are voting in droves”), and desperate political appeals (“there will be no Palestinian state”). As much as I understand that he can be a charismatic leader, and Israelis obviously respect him, I also cannot shake the feeling that he is increasingly embarrassing. He has moved from being a strong and impressive leader to just another crude politician. But he also seems to have lost his political sophistication by failing to satisfactorily consider the negative consequences of his behavior. Let’s look at a few examples. First, trying to scare Israelis about how many Arabs are voting was equated by the White House to the tactics of Southern racists who tried to scare the population about the black vote. Now there is a smart move if you’re dealing with the Obama administration. This is a president who is steeped in issues both professionally and personally related to minority rights. They were not going to be sympathetic to such talk. Secondly, the statement about there being no Palestinian state, as a few observers have pointed out, undercuts the US argument in the United Nations. We have consistently supported Israel on the basis of bilateral negotiations; that is, the argument has been that solutions should emerge from discussions between the two sides. But if Israel is on record as opposing the future Palestinian state then why have the negotiations in the first place. Then again, Bibi does not want the UN to be involved in outlining a Palestinian state anyway. There just is not going to be a Palestinian state on Netanyahu’s watch. Netanyahu is not going to be the leader of Israel who goes down in history as responsible for the establishment of the Palestinian state. And this is why Netanyahu is actually dangerous for Israel. No one can think about Israel in the future as an intact stable political system that is both democratic and Jewish without imagining a separate Palestinian state. Netanyahu has become a force leading increasingly in the direction of one state and all sorts of demographic difficulties. I want to underscore the importance of a stable Palestinian Authority. Israel and the United States subcontract out security issues and border patrol to the Palestinian Authority and as they teeter things get more unstable. Even Israel would rather deal with the Palestinian Authority then some other more politicized and religiously fueled group (e.g. Hamas). So there are incentives to keep the Palestinian Authority stable even though this is distasteful to Netanyahu. Of course, there is the entire matter of settlements which I will not take up here but suffice it to say that Netanyahu’s predatory settlement expansion is a major sticking point. Finally, there is the looming presidential campaign and US politics. Leaders of the Democratic Party have to find a way for Hillary to run to the right of Obama on Israel if she wants to guarantee the Jewish vote. Running to the right of Obama on Israel is not particularly difficult but it would be far easier for her to run if there is an actual UN resolution outlining final status parameters. It is distressing that Israel continues to reelect the one person who is resistant to final status preparations. I just have the feeling that Bibi’s heart isn’t in it and he is trying to play both sides. What I mean by that is Netanyahu fundamentally rejects the idea of a Palestinian state, but must present himself as receptive to it. The US will maintain its deep commitment to Israel, but Bibi is not making it any easier. Just for the fun of it if you want to hear Minister Farrakhan’s take on Israel and Netanyahu click here. Muslims regularly report that they feel humiliated by the West, which most Westerners do not understand, and some genuine political events notwithstanding, there seems to be little reason to feel such humiliation. Let’s take a brief look at the value of not giving a damn, or the philosophy of apathy. I’m not suggesting that we should not care about some things just that too many people care about too many things. One of the tricks of maturity for both an individual and an ethnopolitical group is to develop a sufficiently strong self-esteem that you find little interest in caring about greed, status, self-righteousness, and minor slights. Of course, care about community, the environment, and fairness but always maintain enough empathy and knowledge of the other side to temper your own feelings and recognize even minor legitimacies of the other side. Moreover, we value passion and engagement but it is not worth being passionate and engaged in something you have little control over and can even do without. It is possible to care too much and hence hurt others with words and deeds. Anything interesting, novel, or exciting about Netanyahu’s speech to Congress was absorbed by the flap over the diplomatic slight. And even if President Obama was feigning a gigantic yawn to signal his disinterest, it was an apt response. To be sure, the Prime Minister is an interesting and engaging fellow who is always worth listening to. But this time there was very little new and the content of the speech was rather bland. Benjamin Netanyahu lives in a world of 1% decisions. These are decisions that have a low probability of occurrence (1%), but the consequences of being wrong are catastrophic. Hence, the probability of Iran actually using a nuclear weapon – even on Israel – is small, but if you are wrong, well, you will not recover. Decision-makers in these conditions of 1% decisions usually figure they have to protect themselves, that they cannot take the chance of being wrong, so they respond aggressively in order to prevent the low probability occurrence in the first place. This sort of thinking and decision strategizing escalates the consequences quickly. One side, say Netanyahu and Israel, immediately takes more extreme measures because even though the threat is small it is existential. What Netanyahu would really like, although he will not say this directly, is for the United States to bomb Iran. I don’t think this is going to happen under any sort of President but clearly the Prime Minister is trying to scare the United States so we will react more aggressively. I actually waited a little while before posting about Netanyahu’s speech because I wanted to see what issues emerged. I was pretty sure he would do three things. First, as I said above, he would try to scare the United States into feeling the same existential threat as Israelis. That is, he would work to enlist the support of the United States (and especially the people in that room) with some bonding discourse characteristic of groups with much in common. 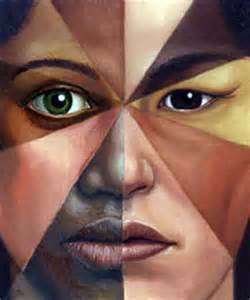 There would be lots of references to the shared cultural, political, and democratic nature of the United States and Israel. Secondly, I was quite convinced he would portray Iran as a crazed Islamic Republic seeking to dominate first Arab capitals and someday Western ones. There would be references to religious extremism and the triumphalist mentality of jihadism. And third, I knew he would argue that the current efforts to contain Iran’s nuclear capabilities or stop it completely through negotiations was either impossible or as he put it a “bad deal.” He did criticize the nuclear deal implying everybody’s naïveté but his own. Israel’s foreign policy is based on existential threat. And one cannot be naïve, they do have their share of enemies and anti-Semitism and the equation of Zionism with colonialism is on the increase. But from a rather “rational” standpoint rather than the gut feeling that describes most thinking about Iran’s barbaric and aggressive nature it is just as easy to argue that Iran would not use a nuclear weapon. First, if Iran used a weapon they certainly know that they would invite a response. It would justify the other country, namely Israel, using their weapons. Secondly, any culture that used a nuclear weapon would immediately become an international pariah and suffer in such a way that they might not recover. Third, there are some solid ways to include the international community in Iran’s nuclear program and maintain some control to ensure that its nuclear material does not become weaponized. Netanyahu, as we saw from his acceptance of the speaking engagement without consulting the president, has a tin ear when it comes to diplomacy so why would we expect him to be any better at diplomacy when it comes to Iran? I don’t think that other issues (such as his upcoming election) are particularly pertinent although Israelis may have enjoyed the image of their strong leader speaking to the U.S. Congress. It is possible to view Netanyahu’s appearance before the U.S. Congress, which is a fairly conservative Congress, and his bonding discourse as dangerous. When divergent groups “bridge” and try to close gaps between them, more extreme positions are moderated. So, if the Israelis and Palestinians have contact and build a bridge from the discourse of Zionism to Palestinian nation building, then extremists will be marginalized and the discourse of violence will subside. But bonding discourse, which is what Netanyahu did with the Congress, among the like-minded exaggerates differences, intensifies the sense of cohesion, and creates polarization. Netanyahu probably did not accomplish much with respect to the specifics of the treaty with Iran, and he probably did not scare too many people, but he did make his case to the world. The only problem is that Netanyahu was talking to the wrong people. He does need to talk to the world or bond with his friends – he needs to walk over the bridge and talk to his neighbors.